[S66] 1860 Granville Co., N.C. Census, pg 492. [S986] The Herald-Sun, 10 July 2007. He was the son of Green Lafayette "Fate" Renn and Mary Elizabeth Hester. [S999] Kate Stirk, Stirk-London Families. [S1079] Unknown volume, Halifax Co., N.C. Death Certificate, www.Ancestry.com. [S628] 1910 Wake Co., N.C. Census. Birth*: James Renn was born circa 1830 at NC. Birth*: James A. Renn Esq. was born on 25 May 1849 at NC. He was the son of Harmon Haywood Renn and Nancy G. Strum. [S1056] 1900 Durham Co., N.C. Census. Death*: James Aaron Renn died on 29 August 1956 at MD . [S637] 1920 Durham Co., N.C. Census. [S1099] Unknown volume, Lenoir Co., N.C. Death Certificate, www.Ancestry.com. 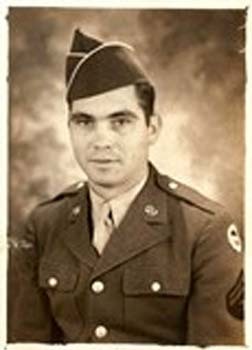 He was the son of James H. Renn and Elizabeth Betsy Vaughn. [S179] Unknown volume, Vance Co., N.C. Death Certificate: Vol. 16, pg 98, Register of Deeds Vance Co., NC Courthouse. [S179] Unknown volume, Vance Co., N.C. Death Certificate: Vol 5, No. 191., Register of Deeds Vance Co., NC Courthouse. 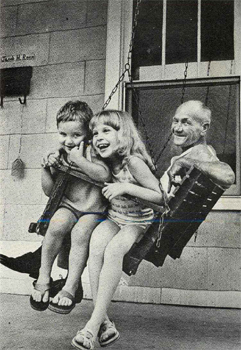 Birth*: James Gibbons Renn Jr. was born on 19 February 1914 at Harnett Co., NC. He was the son of John Gibbons Renn and Edna Lida Haskins. Death*: James Gibbons Renn Jr. died on 11 November 1971 at Fayetteville, Cumberland Co., NC, at age 57 . Birth*: James H. Renn was born circa 1809 at NC. He was the son of Harmon Renn and Tabitha Beckham. 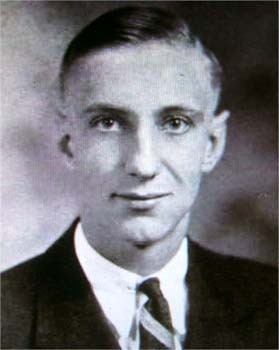 He was the son of James Robert Renn and Alice Scott Minor. Marriage*: James Harper Renn married Grace Mayes Allen, daughter of Ethan Cameron Allen and Mary Susan Mayes, on 17 June 1908 at Granville Co., NC. [S183] Unknown compiler, "Hays Collection at Richard H. Thornton Library, Oxford, N.C.", Ancestral File. [S229] Henderson Daily Dispatch, 17 Dec 2002. [S973] Unknown author, World War II Young American Patriots, 1941 - 1945. 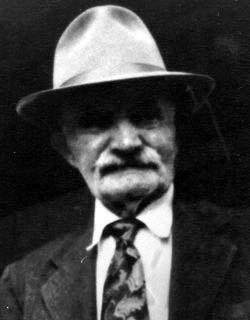 Birth*: James Henderson Renn was born circa 1833 at Warren Co., NC. He was the son of Green C. "Jeff" Renn and Wenny Robertson. [S1122] Unknown subject, Confederate Soldiers Records - North Carolina. [S5] Warren Co., N.C. 1860 Census, pg 492. [S1899] Unknown volume, U.S. Veteran Headstone Applications, unknown repository. [S979] Unknown subject, World War II Draft Registrations - 1942. [S1085] 1920 Dinwiddie Co., Va. Census. [S1927] 1940 Hopewell Co., Va. Census. Death*: He died on 20 January 1998 at VA at age 79 . [S1521] 1930 St. Georges Co., Va. Census. [S1458] Richmond Times-Dispatch, 28 Dec 2006. He was the son of Green Renn and Jane Worrel. [S65] 1850 Granville Co., N.C. Census, pg 94. [S2309] Greensboro North State, 28 Jun 1888. [S2202] 1870 Wake Co., N.C. Census. He was the son of William Green Renn and Delila Dilly Bowden. Marriage*: James Robert Renn married Alice Scott Minor on 21 December 1876 at Granville Co., NC. [S135] 1900 Granville Co., N.C. Census, pg 86. Birth*: Jane B. Renn was born circa 1810 at NC. She was the daughter of Harmon Renn and Tabitha Beckham. She was the daughter of James A. Renn Esq. and Elizabeth "Bettie" Spencer Duke. [S1907] 1940 Halifax Co., N.C. Census.